US Anti-Doping Agency chief Travis Tygart, who once called on FIFA to test the Russian football team for doping after they won several games at the World Cup, and demanded that the entire Russian Olympic team be banned from the 2016 Olympic Games, has voiced his disappointment with the world anti-doping authority over its decision on Russia. On the eve of the announcement, Tygart, a US anti-doping official well-known for his remarks disparaging Russian sport, including athletes against whom no evidence of doping violations had ever been found, suggested that WADA's executive committee should be disbanded. "WADA was in a stare-down with Russia and WADA blinked," Tygart complained, speaking to the Evening Standard. "WADA can't just be a service provider for the [International Olympic Committee]. It needs to change its executive and be totally independent from sport. At the moment, the whole process just stinks," he added. According to the official, giving RUSADA a clear bill of health would influence other nations and athletes to "cheat." "The message in all this seems to be you can run one of the most sophisticated doping programs, you can influence power and create your own set of rules with no real consequences, to basically cheat your way to the top," he said. In Tygart's view, RUSADA's re-acceptance into WADA would be a "tragic day for clean athletes." Earlier this year, Tygart was among the officials and Western media calling on Russia's football team to be tested for doping after a string of early victories at the World Cup. FIFA responded to these suggestions by pointing out that an exhaustive investigation on possible doping had been conducted, giving the Russian footballers a clean bill of health. Earlier, in 2016, a pair of Russian telephone pranksters called up Tygart posing as the Ukrainian minister of sport, asking him to revise the results of the biathlon competition during the Sochi Olympics to improve the Ukrainian team's standing against the Russians. Tygart promised to do everything he could, and said that if he were the one calling the shots, the entire Russian team would be banned from the 2016 Summer Olympic Games in Rio. In July, Tygart testified before US Congress on doping in world sport, spending virtually his entire testimony talking about "systemic Russian cheating." 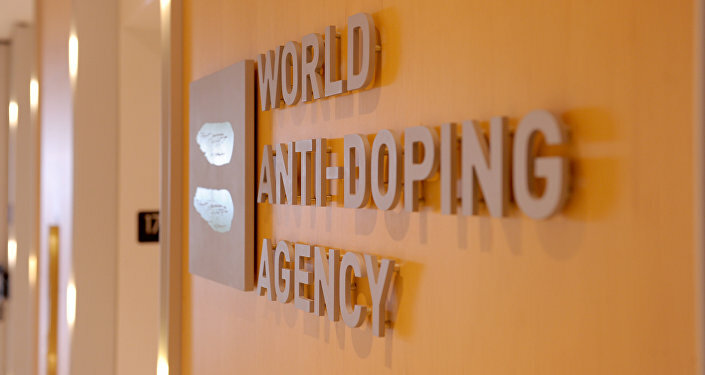 WADA first began accusing Russia of systematic doping violations in 2015, charging RUSADA with failure to comply with the World Anti-Doping Code. The uncorroborated testimony of disgruntled former Russian anti-doping agency worker Grigory Rodchenkov, who had been under investigation by Russian authorities on corruption, bribe-taking, blackmail and doping misconduct charges, was used by Canadian professor Richard McLaren in two reports on Russia's alleged state-sponsored doping violations during the 2014 Sochi Games. The WADA report led to Russia's effective suspension from the 2018 Winter Games in Pyeongchang, South Korea, and led to its Olympic and Paralympic teams being stripped of their first place finish at the 2014 Games. Dozens of athletes were also prevented from competing at the 2016 Games in Rio. Multiple media investigations, including primary evidence disclosed by the Fancy Bears hacking collective, has since shown the politically motivated nature of McLaren's work, and pointed to evidence of a Canadian and broader "Anglo-Saxon" struggle "for power and cash in the sports world" at Russia's expense.